handle, and 5" x 3" front pocket. 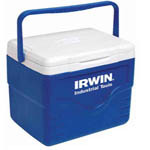 - PVC backed insulated cooler. 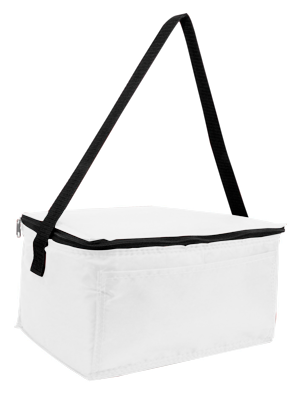 Liberty Bags 210 Denier Joe Basic Square Cooler. Classic cooler with plenty of space for your lunch. 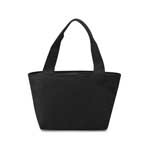 210 denier nylon with a 23" black handle, and 5" x 3" front pocket. PVC backed insulated cooler. Colors: Black, Navy, Red, Royal. One Size: 8" x 6" x 6".